Education Game News. Women's Day. P42 Release date 08.03.2015 year. 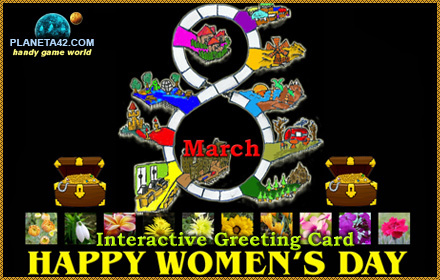 On focus a new Planeta 42 holiday game in day celebrate category - Women's Day. This is a basic board game, where a woman character moves on random squares, defined by a dice throw, and collect flowers. Holiday games also may be used as greeting cards.